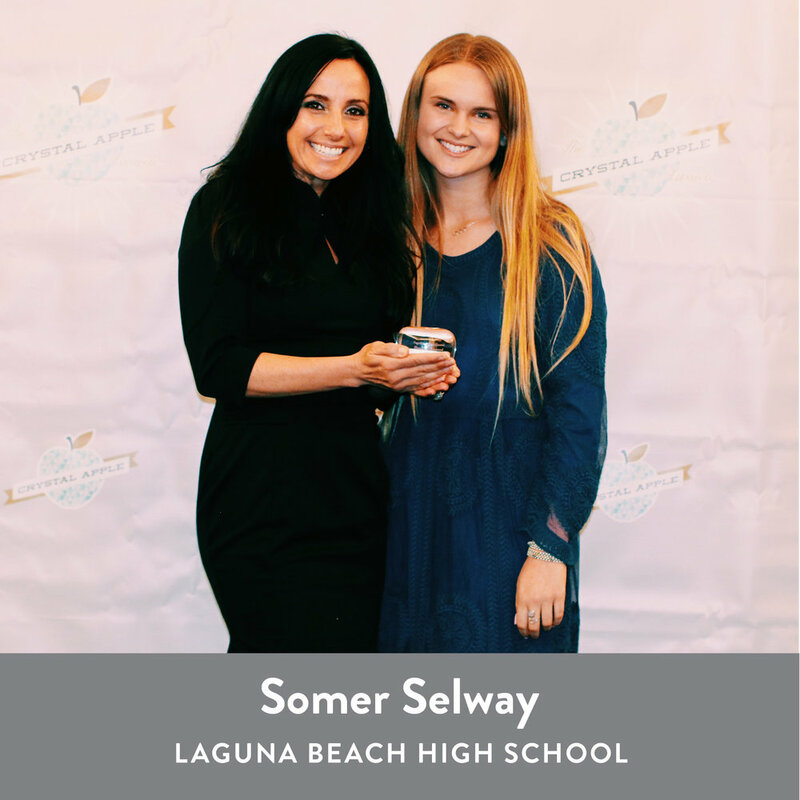 Aliso Viejo, Calif. – The sixth annual Crystal Apple Awards were held Thursday, March 20th at The Church of Jesus Christ of Latter-day Saints building in Aliso Viejo. 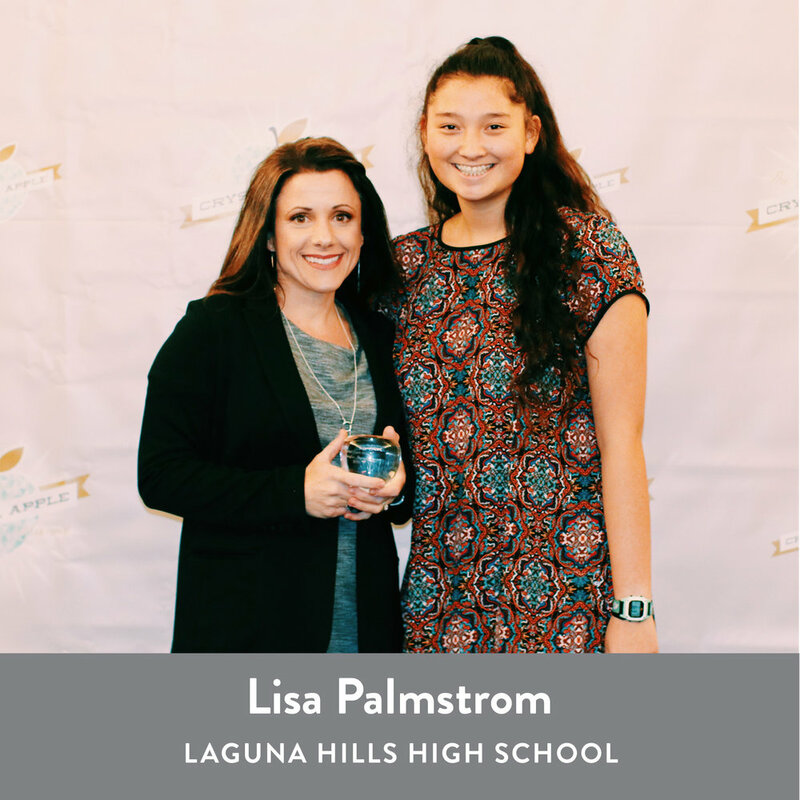 This unique community event honors teachers from four local high schools (Aliso Niguel, Dana Hills, Laguna Beach, and Laguna Hills). Two teachers from each high school were chosen to receive Crystal Apples after being nominated by their students. Community members, civic leaders, school board members, and school leaders came together to see each deserving teacher receive their award. Students nominate teachers who have inspired and motivated them by filling out a nomination form and writing a short essay. More than 700 nominations were received for this year’s awards. 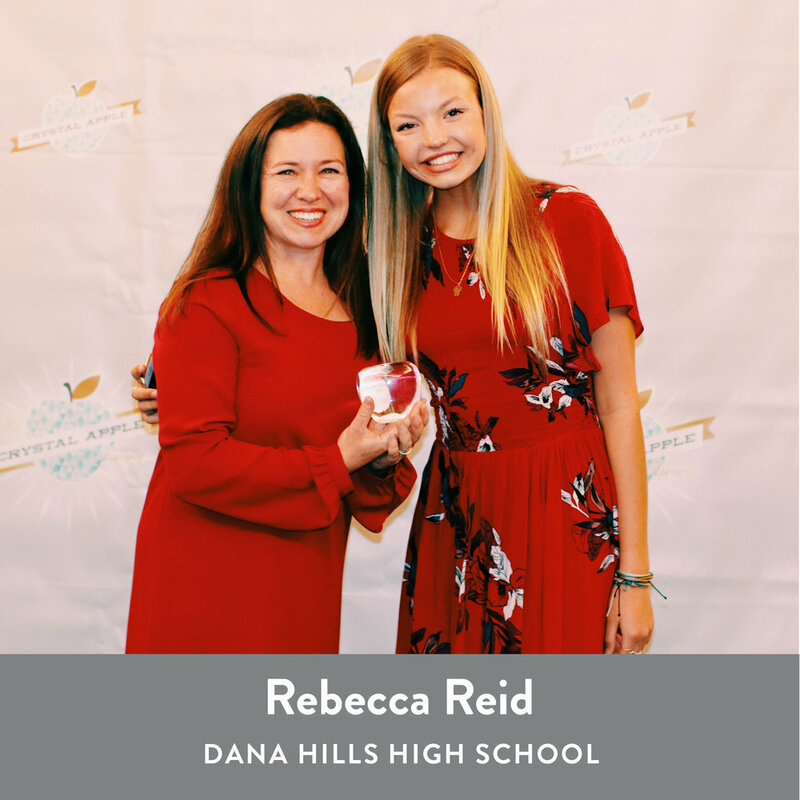 The teachers with the most nominations were then selected from each high school, and the students whose nominations were most memorable were selected to introduce their teacher and award the Crystal Apple. In attendance were the principals from all four high schools; Bills Hinds (Laguna Hills High School), Deni Christensen (Aliso Niguel High School), Dr. Joshua Porter (Dana Hills High School) and Jason Alleman (Laguna Beach High School). Other distinguished guests included Laguna Niguel Mayor John Mark Jennings, along with City Council members Elaine Gennaway and Sandy Rains; Vice President Dr. Edward Wong and Amanda Morrell from the Saddleback Valley Unified School District; Assistant Superintendent Alysia Odipo from the Laguna Beach Unified School District; and Amy Hanacek from the Capistrano Unified School District. After some inspiring words from President Matt Miller, the evening ended with two uplifting numbers from the Dana Hills choir, led by Ray Medina. Apple pie was served following the program, and guests mingled and congratulated the winning teachers. Cyndi Wright was raised in Laguna Beach, California and graduated from Laguna Beach High School. She went to college at UCLA and earned her Masters in Psychology at Pepperdine University. She has been teaching for over 30 years, working at Aliso Niguel High School for the past 16 years. Mrs. Wright was nominated by senior Audrey McKeon, who commented, “The influence of a good teacher makes all the difference and that is 100% true when it comes to Mrs. Wright. She understands and connects with the students she teaches, but she doesn’t just teach students, she makes you feel like she is giving advice to friends. She makes everyone feel loved, appreciated and all while teaching arguably the most interesting class on campus. Congratulations to all the 2019 Crystal Apple Award Winners!